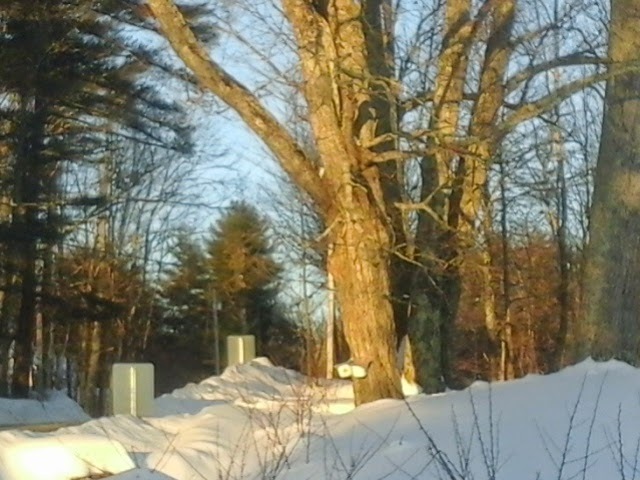 Its hard to believe, looking out my window, that garden season will ever come, much less that it is really only 5- 6 weeks away for the hardy spring plantings. So I ignored the minus 9 temperatures this morning, and got some early starts planted. Its maybe earlier than normal to be seeding these tomatoes and peppers, but these seeds, like all our belongings, had to be in storage for 5 months, under less-than-optimal conditions, and I fear that the germination rate may be low to even zero. 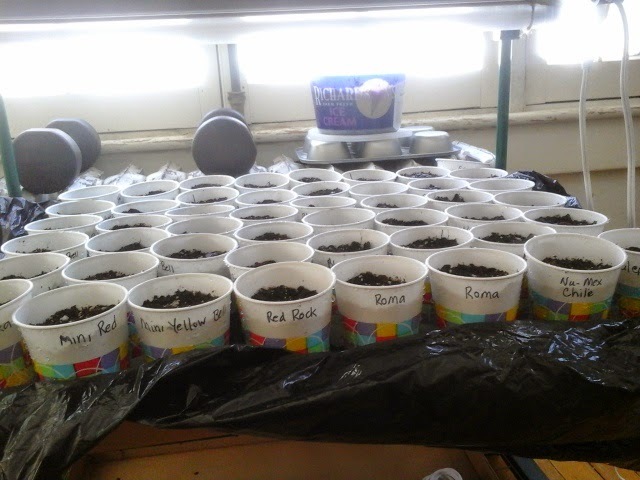 So, if I find these seeds are not viable, I still have time to order more and get a jump on the season. 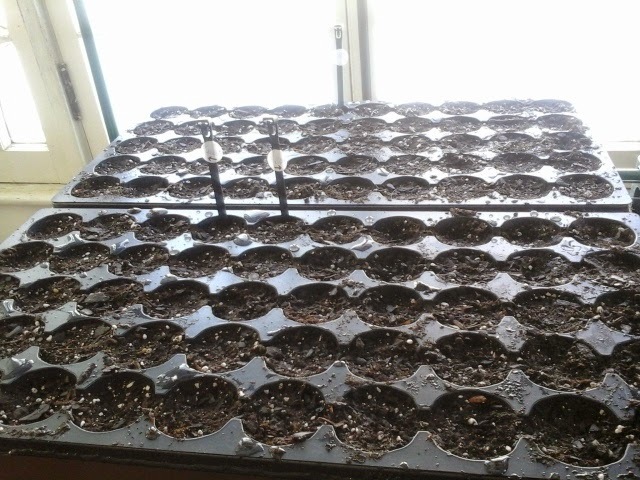 Another 150 onion starts: 50 each of red, yellow (both good storage onions) and sweet burmuda type, my favorite. 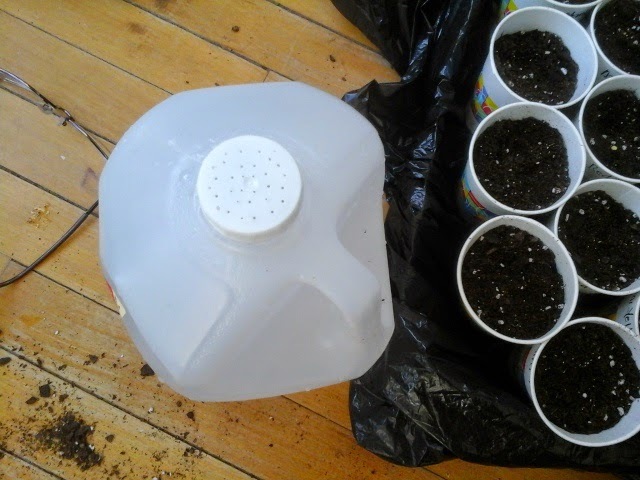 A used milk or spring water jug makes a dandy watering tool, with holes punched in the lid. I used a large sewing needle, heated up in a flame... goes right through the plastic and makes a smoother hole. 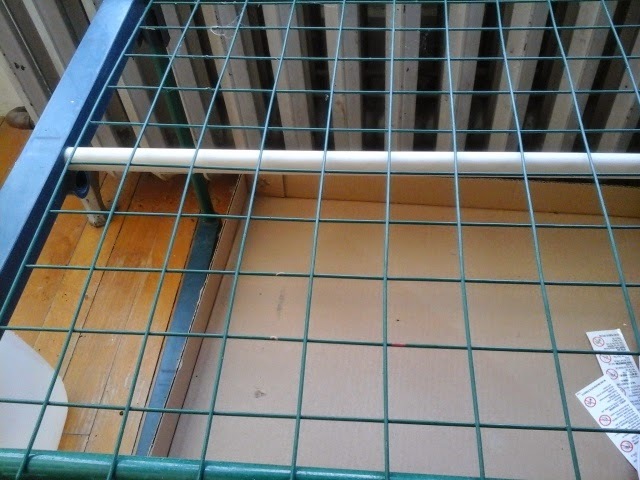 Somehow, a couple of the support rods were missing on my little grow shelves. A couple of dowels cut to length with a hand saw fixed that problem. There are grow lights for the top three shelves, but they are not needed until the seeds sprout. 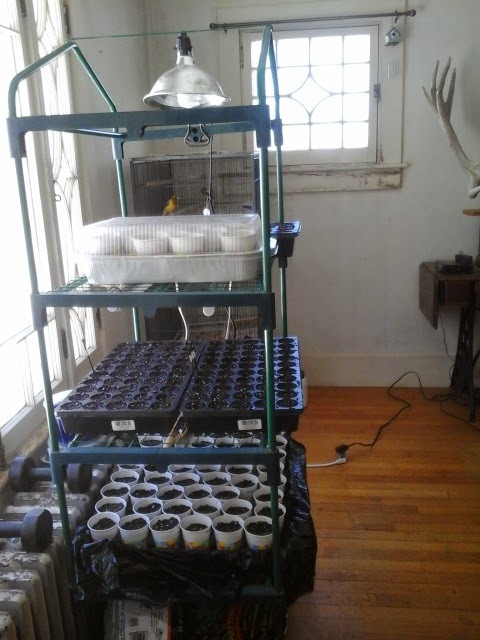 This time of year, seed trays begin to take over the house. Every sunny window is used. 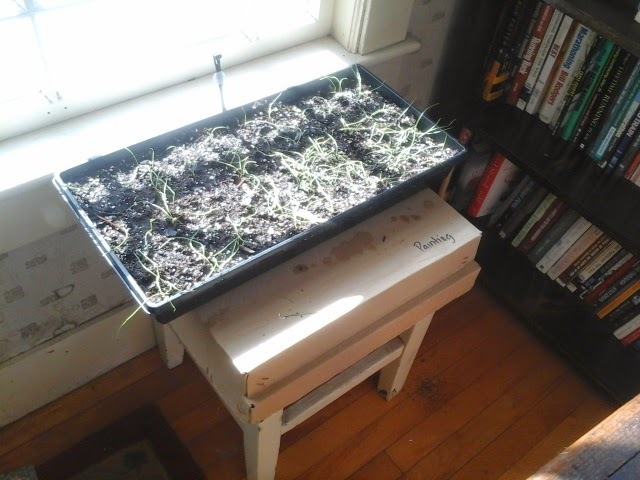 These poor sad leggy onions will perk up with more sunlight. The most difficult part for me, is trying to determine how much space to devote to each plant in the overall garden plan. This year will be a little weird, getting a late start because we were not able to prepare the soil before deep winter hit. So that will delay all the early plantings. I might entirely miss the early spinach and lettuces. I will try to make up for that with fall plantings. mind boggling. The garden is really the heart of any homestead. B. Resiliant- that we are able to produce enough to feed ourselves, with surplus for winter storage, and save enough seed for next year. There is a world of work, and learning, and trial and error, in those two statements. It demands a great deal, if one is not going to take the usual route, throw down some fertilizer, and pick up some plants at the local garden center, pop them in the ground, and grow a few things. Relying on your garden, and not those trips to the supermarket, to truly feed you is a whole 'nuther animal.